Posted on June 28, 2018 by An@m! I remember when my daughter has to be injected for taking the blood samples. She was just 3 months then. The nurse instructed us to get out of the room. I said “no, I won’t say anything you do your work.” and stepped aside, as I very well know they do this because parents and relatives get emotional and interfere when the baby cries. My acquaintance said, “हाँ इसको रहने दो, ये तो है ही emotionless”(“Let her inside, she is already emotionless”). I am not the kind of person who gets emotional every now and then, watching TV, Movies etc. I am like this only. I am weird. I have seen “not too many deaths” but yes few, but that never affected me. I am surprised by my own self, when this “emotionless me” got moved by Irfan’s cancer news. I got to know about this on twitter when someone had shared this article. When I read the first time I thought it must be a rumour. Then I confirmed with my husband and I was like “God why it is not.” As I was reading further the full piece, I was both sad and smiling in consent. The feeling of sadness is obvious but don’t give me that look for smiling. It was a calm and repose one. Obviously, no one can do anything but to wait, his state of mind and the realization of his “oneness” with the universe gave me the feeling of tranquillity. How he had realised the immense power of nature and the cosmos moved me from roots. How death is so inevitable. We all know that but how ignorant we live of it. That made me think so much. #IrfanKhan this is for you and you are one hell of a guy who will get over this as well. I am sending my positive vibrations your way. Posted on June 25, 2018 by An@m! Welcome aboard the blog relay. Now you are going to witness a pretty long chain of 57 blog posts with the same number of ebooks. It is definitely a treat for that little bookworm in you. This is a blog chain where every blog post will go live every 10 minutes of each other. 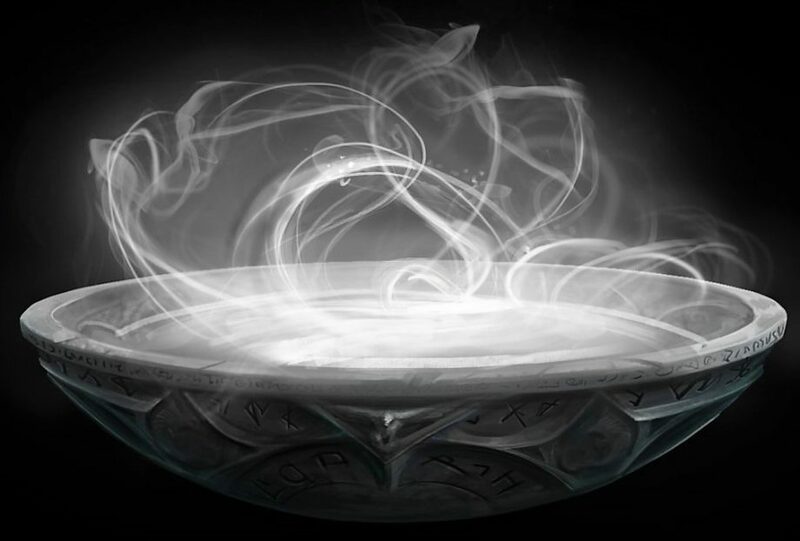 By the time you will end up reading this post and click on the next Baton it will already be live. Oh wow !! what fun it is. So without losing another second here, it goes.. I take on the baton of Blogchatter Ebook Carnival from Saba whose ebook ‘The A2Z of Globetrotting’ is also a part of the mix. Thank you, Saba. #BlogchatterEbook Carnival has changed my life, Oh, yes, to much extent. 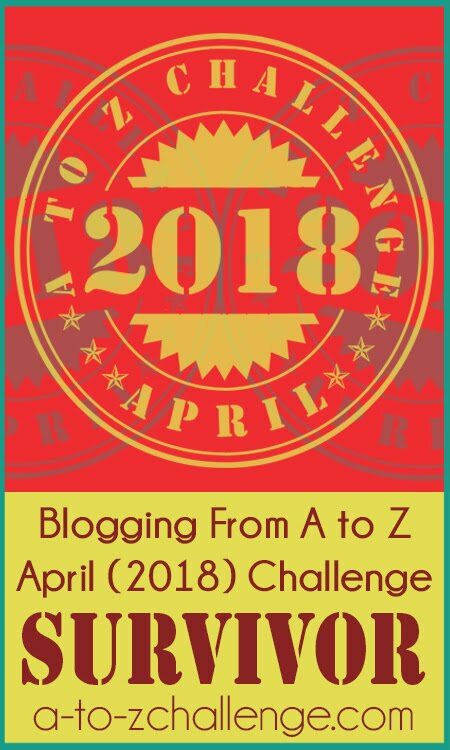 This is my second year of participating in the A2Z Challenge, but the first with the Blogchatter. The first year’s will take much time so will share sometime later. This year, Team Blogchatter made sure we don’t sit up and relax after the month of April. They carried on the excitement and enthusiasm for another three months. It is a really breathtaking but a fun ride to be a part of #BlogchatterEbook Carnival. I loved the way they keep us busy with their activities and especially the way they name those activities. That always motivates me. This is something I will cherish for real long. When you are introduced as an author it means a lot. April AToZ challenge in itself is a life-changing and life-learning experience for me. I have already mentioned in my “Reflections” post what all I learned and my experiences… I am feeling confident in repeating the same here, as this will only boost up my energy. 2. When you know you have nothing to lose, why not give it a try?? 4. Be patient. Do not panic. 5. Write less but Read more. Besides, I met so many bloggers from all the corners of the world, in this journey and hope few will be in touch for long. Not to name them but they will understand while reading this. (Didn’t you ?? 😛 ) It is a whole different world. THE BLOGOSPHERE. Thank you Blogchatter for giving me the opportunity to be a self-published writer and supporting me and my book. It feels Simply WOOOOWWWWWWWWW !!!!! to be the owner of a shiny ebook. Though it may be an ebook, it feels so proud and refreshing to see your name on the cover of a book. It gives a feeling of responsibility for your audiences and a feeling of self-confidence to continue the journey towards your big dream. 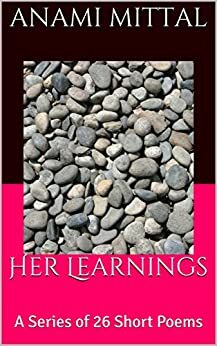 My first eBook is a collection of 26 simple and short poems depicting a girl’s learnings from life, from what she sees outside, and learns inside. You can grab your copy here. or just click the cover page on right. Feel free to review it too. Trust me It is a great payback for any author. This book is a compilation of few Bodyweight Workouts you can do at your home. These do not require any equipment. It is written for the A to Z Challenge 2018. It is a great way to exercise for those who get bored easily. Try them and you will love them. Here you can read the review as well. You can grab the FREE… YES, FREE copy here HURRY UP… IT IS A LIMITED PERIOD OFFER. Now, I pass on the Baton of Blogchatter Ebook Carnival to Monika whose ebook ‘Astitva: a woman’s journey from existence to empowerment’ is also part of the mix. About Monika’s ebook: Astitva is a virtual revolt against the age-old customs and attitudes that suppress the essential identity and dignity of women. The author pushes all women suffering under the present societal set-up to realize their potential and live independently. Posted on June 20, 2018 by An@m! मेरा कोई हक़ नहीं ? Posted on June 14, 2018 by An@m! आज भी रोती हूँ छुपके जब भी बाबा की याद आती है..
Posted on June 13, 2018 by An@m! क्या अब वो करेगी ? चाहे दुनिया के लिए गलत ?? Posted on June 6, 2018 by An@m! क्या कोई ऐसा है जिसे सिर्फ मैं चाहिए ? ?